Buying or selling a home is not something most people do everyday. It’s also a huge investment for most people and a very important one. Since it’s not your every day purchase, there are a lot of questions that come along with it. We’ve looked into some common questions, and found some answers to help you along the way. 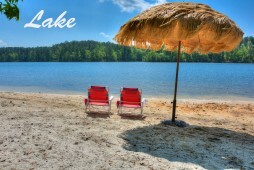 Buying lake property near Augusta can be a different experience than your average real estate purchase, and brings with it a whole different set of questions. We’ve put together some frequently asked questions, and Lloyd DeFoor has found answers.